Prodotti in Giappone, i Global sono tra i migliori coltelli al mondo per leggerezza, tenuta di filo e qualità di taglio. Oggi i coltelli Global sono apprezzati da tantissimi chefs e da professionisti alberghieri per la loro leggerezza e maneggevolezza nel taglio. I coltelli Global sono venduti in più di 50 paesi nel mondo ed hanno vinto premi prestigiosi. La Coltelleria Collini di Busto Arsizio, rivenditore ufficiale coltelli Global, vi offre la gamma completa che conta oltre 100 differenti modelli. Global Knives 20cm Cooks Knife and Water Sharpener Set G2220GB The ideal gift for the keen cook in your life, this set includes the best selling Global chef's knife and its recommended sharpener Included: 1 x G-2 20cm Cook's Knife 1 x Minosharp 220GB Sharpener Not for nothing is the G-2 20cm cook's knife Global's most popular cutting tool. Just the right size for a multitude of functions, it can be the basis of a larger collection or the only the knife you'll ever need. The Minosharp sharpener is the easiest way to maintain its edge. PLEASE NOTE: occasionally, we might have to supply this set as individually boxed items. Age Restricted Product Knives cannot be sold to persons under the age of 18. When placing an order for knives with Millysstore you are confirming you are 18 or older. Under certain circumstances you may be asked to provide identification. From very modest beginnings Global has developed into one of the successful brands of professional kitchen knives in the world. Still crafted by hand in Yoshikin's factory in Niigata, Japan, Global knives are manufactured to extremely high and exacting standards. 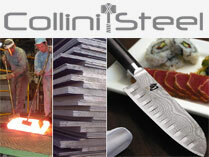 Global knives have attracted much acclaim over the years and received a number of awards. Range of extra items from global include deluxe kitchen utensils to complement the global knives. Medium grain, orange, made in Japan, equipped with non-slip rubber backing. Dimensions 210x70x20 mm. Flexible knife suitable for filleting fish and vegetables or to scallop meat. Knife suitable for the cleaning and the cutting of fruit and vegetable. Global - Spatula 11cm GS21- 4 - kitchen Spatula to cook and to serve omelets, wraps, crepes and distribute sauces or ingredients of courses and desserts. Use: Spatula Blade length: 11 cm. Total length: 21 cm. The GLOBAL Japanese knives are preferred by chefs in the most prestigious hotels and restaurants in the world. The first GLOBAL knife was designed in 1985 by Komin Yamada, who gave him the knife he created a new and revolutionary design. The main features of the GLOBAL knives, are: - Lightweight: GLOBAL was the first company worldwide to produce a empty steel knife in the handle. This feature allows to reduce the weight of the knife 30%. - Handling: thanks to the lightness and the anatomical shape of the handle, the GLOBAL knives are suitable for continuous and prolonged operating times, minimizing the user's fatigue. - Wire seal: GLOBAL knives are made using the best steel and the most modern techniques. In the blades it is present in high percentage Molybdenum / Vanadium thanks to which the hardness of the steel reaches 56/58 Rockwell hardness, thereby increasing the length of the wire. - Robustness: GLOBAL knives being the all-steel (both the handle and the blade) are virtually indestructible. - Elegance Awards acquired by GLOBAL knives: 1990 - Japanese Good Design by MITI 1991 - Selected for International Design Year Book 1992 - Selected as Best Cooks' Knife in Benelux 1995 - Selected as Best Knife by WHICH Magazine in the UK 1996 - Selected as Sharpest Knife by A LA CARTE Magazine in Germany Global all products we sell are screen printed indelibly with the Collini Cutlery logo (see picture). This marking warrants to be sure about the quality, traceability, assurance over the years and a future prime care product purchased at the Collini Coltelleria. Global - Multi-Purpose Spatula GS 21- 6 Spatula to cook and to serve omelets, wraps, crepes and distribute sauces or ingredients of courses and desserts. Use: Spatula Blade length: 15 cm. Total length: 26 cm. The GLOBAL Japanese knives are preferred by chefs in the most prestigious hotels and restaurants in the world. The first GLOBAL knife was designed in 1985 by Komin Yamada, who gave him the knife he created a new and revolutionary design. The main features of the GLOBAL knives, are: - Lightweight: GLOBAL was the first company worldwide to produce a empty steel knife in the handle. This feature allows to reduce the weight of the knife 30%. - Handling: thanks to the lightness and the anatomical shape of the handle, the GLOBAL knives are suitable for continuous and prolonged operating times, minimizing the user's fatigue. - Wire seal: GLOBAL knives are made using the best steel and the most modern techniques. In the blades it is present in high percentage Molybdenum / Vanadium thanks to which the hardness of the steel reaches 56/58 Rockwell hardness, thereby increasing the length of the wire. - Robustness: GLOBAL knives being the all-steel (both the handle and the blade) are virtually indestructible. - Elegance Awards acquired by GLOBAL knives: 1990 - Japanese Good Design by MITI 1991 - Selected for International Design Year Book 1992 - Selected as Best Cooks' Knife in Benelux 1995 - Selected as Best Knife by WHICH Magazine in the UK 1996 - Selected as Sharpest Knife by A LA CARTE Magazine in Germany Global all products we sell are screen printed indelibly with the Collini Cutlery logo (see picture). This marking warrants to be sure about the quality, traceability, assurance over the years and a future prime care product purchased at the Collini Coltelleria. Global - Angular Spatula GS 42- 6 - Spatula designed for decorating with total control is perfectly suitable to easily roll out ice cream and whipped cream on the edges of the cake. Use: Spatula Blade length: 15 cm. Total length: 28.5 cm. The GLOBAL Japanese knives are preferred by chefs in the most prestigious hotels and restaurants in the world. The first GLOBAL knife was designed in 1985 by Komin Yamada, who gave him the knife he created a new and revolutionary design. The main features of the GLOBAL knives, are: - Lightweight: GLOBAL was the first company worldwide to produce a empty steel knife in the handle. This feature allows to reduce the weight of the knife 30%. - Handling: thanks to the lightness and the anatomical shape of the handle, the GLOBAL knives are suitable for continuous and prolonged operating times, minimizing the user's fatigue. - Wire seal: GLOBAL knives are made using the best steel and the most modern techniques. In the blades it is present in high percentage Molybdenum / Vanadium thanks to which the hardness of the steel reaches 56/58 Rockwell hardness, thereby increasing the length of the wire. - Robustness: GLOBAL knives being the all-steel (both the handle and the blade) are virtually indestructible. - Elegance Awards acquired by GLOBAL knives: 1990 - Japanese Good Design by MITI 1991 - Selected for International Design Year Book 1992 - Selected as Best Cooks' Knife in Benelux 1995 - Selected as Best Knife by WHICH Magazine in the UK 1996 - Selected as Sharpest Knife by A LA CARTE Magazine in Germany Global all products we sell are screen printed indelibly with the Collini Coltellerialogo (see picture). This marking warrants to be sure about the quality, traceability, assurance over the years and a future prime care product purchased at the Collini Coltelleria. Global - Angular Spatula GS 42- 8 - kitchen Spatula designed for decorating with total control is perfectly suitable to easily roll out ice cream and whipped cream on the edges of the cake. Use: Spatula Blade length: 20 cm. Total length: 38.50 cm. The GLOBAL Japanese knives are preferred by chefs in the most prestigious hotels and restaurants in the world. The first GLOBAL knife was designed in 1985 by Komin Yamada, who gave him the knife he created a new and revolutionary design. The main features of the GLOBAL knives, are: - Lightweight: GLOBAL was the first company worldwide to produce a empty steel knife in the handle. This feature allows to reduce the weight of the knife 30%. - Handling: thanks to the lightness and the anatomical shape of the handle, the GLOBAL knives are suitable for continuous and prolonged operating times, minimizing the user's fatigue. - Wire seal: GLOBAL knives are made using the best steel and the most modern techniques. In the blades it is present in high percentage Molybdenum / Vanadium thanks to which the hardness of the steel reaches 56/58 Rockwell hardness, thereby increasing the length of the wire. - Robustness: GLOBAL knives being the all-steel (both the handle and the blade) are virtually indestructible. - Elegance Awards acquired by GLOBAL knives: 1990 - Japanese Good Design by MITI 1991 - Selected for International Design Year Book 1992 - Selected as Best Cooks' Knife in Benelux 1995 - Selected as Best Knife by WHICH Magazine in the UK 1996 - Selected as Sharpest Knife by A LA CARTE Magazine in Germany Global all products we sell are screen printed indelibly with the Collini Coltelleria logo (see picture). This marking warrants to be sure about the quality, traceability, assurance over the years and a future prime care product purchased at the Collini Coltelleria. Global Knives are one of the most successful knife companies in the world, offering professional knives and premium quality kitchen knives for home use. Cleaver for cutting large pieces of raw meat.